NOT AVAILABLE UNTIL MAY 15, 2012. Herb with grey-green clustered foliage and short spikes of violet-blue flowers. 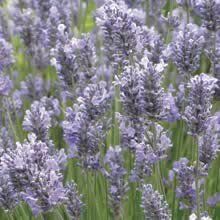 Highly valued for cutting, drying, and the aromatic fragrance and essential oils it produces.